Merchandising activities are traditionally natural resource intensive, from the piles of paper necessary to perform numerous daily audits to the amount of fuel used by reps in their daily routes. Elimination of data transcription - the most work-intensive part of traditional pen-and-paper audits is actually transcribing the data collected at stores. By eliminating this work- and time-intensive step, a mobile app for merchandising helps save power and man-hours. Route optimization - some mobile apps for merchandising can automatically calculate the shortest route for reps' daily store routes. This will naturally lead to time and fuel savings. Anytime online report access - another area in the merchandising audit process where there is traditionally an opportunity for reduced paper usage is reporting. By allowing anytime online report access, including for stakeholders not involved in the day-to-day operations such as outside clients or executives, a mobile app for merchandising significantly reduces paperwork as well as printing costs and power usage. 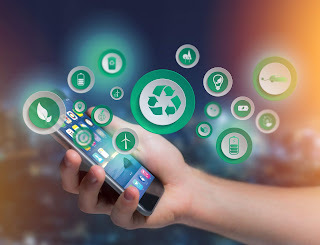 VisitBasis is a mobile app for merchandising that will help your business go green by providing all the features above along with a straightforward platform for performing custom retail store audits. Learn more and sign up for a fully-functional 14-day free trial of VisitBasis by going to www.visitbasis.com.